Yesterday’s, six-hour plane ride was one of the longest in my little doggy years. Not because of the time it took to get from Boston to Dallas, but because of the anticipation of where my little paws were going to take me the minute we landed and checked into our hotel. It’s been fifteen years since my little furry paws walked these streets on a daily basis, and a lot has changed, but thankfully one thing hasn’t, Gloria’s Latin Cuisine in Oak Lawn. The chips arrive immediately to the table. They are warm, and lightly salted. The chips are served not only with some of the best salsa around, but also with a bowl of warm, pureed black beans. These are things doggy dreams are made of, and it’s only the beginning. For years, I have always had enchiladas. To me they are the ultimate comfort food and are always amazing here. But for some reason I decided to go off in a different direction and ordered one of the Salvadorian Combination plates. I may never go back after eating their chile relleno platter. The meal arrives beautifully plated with all of those delicious Latin flavors rising up in the steam of the freshly prepared food. White rice perfectly cooked with peas, corn, and carrots alongside a soft velvety bath of warm refried black beans. The relleno was stuffed with cheese and drizzled in a spicy red sauce. As this was a combination platter the relleno was served with an enchilada. The ground beef enchilada was covered with the most delicious chile con queso. If you find yourself in the Oak Lawn neighborhood and are craving Mexican/Salvadorian food, there is no place else to consider. 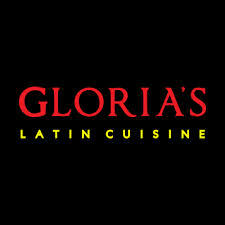 Get yourself to Gloria’s. Oh and the margaritas…well just get there and experience it in person. There’s no other way to describe it.